Remeha, founded in 1935, is a leading European manufacturer and distributor of innovative heating and hot water systems and services. Remeha is part of BDR Thermea, with headquarters in Apeldoorn, The Netherlands. With our products and services we have established a strong presence in Europe with sales offices in the United Kingdom, Germany and Belgium and partners in other major economies. Remeha employs around 550 people and achieved an annual turnover of nearly 300 million (2010). With a strong R&D focus and a strong financial position we have been able to confirm and build our leadership in the emerging market for low carbon dioxide micro-Combined Heat and Power (CHP) products. In addition to manufacturing high efficiency boilers adapted to local markets, we are at the forefront of the shift towards development of renewable energy technologies, that may prove crucial in tackling climate change. 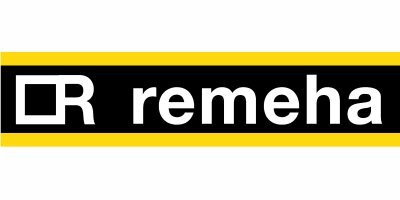 Remeha, based in Apeldoorn, the Netherlands, was founded by Dutch entrepreneur Gerard van Reekum. He traded steel pipes and fittings for the heating industry in the 1920's by the name of ‘Van Reekum’s Metaal Handel’, from which the brand ‘Remeha’ was derived. At that time, the average home was heated by cole-fired stoves in the living room. Central heating was still rare. In 1933, Van Reekum saw a market for central heating boilers and started producing Remeha’s first-ever model, the A-series boiler. By 1939, Remeha had developed a full-fledged, highly acclaimed boiler programme for oil, gas and solid fuels. In 1944, Remeha relocated to Apeldoorn. It had become more than a family business with its own foundry and several side industries producing, amongst other things, oil tanks for the chemical industry. In the early 1960's, large natural gas supplies were discovered in the north of the Netherlands. Focusing entirely on the development and fabrication of central heating boilers, Remeha developed the first warm air central heating technology fueled by natural gas in 1963. After the energy crisis of the 1970's, the urge to make boilers more efficient led to condensing boiler technology becoming mainstream by 1980, with a pioneering role for Remeha. In addition, Remeha’s special ‘Reminox’ burner technology made boilers more environment-friendly by dramatically reducing toxic gases emissions. A new milestone was reached in 1990 with the first high efficiency wall hung boiler for home use. New types of domestic boilers rapidly followed to meet consumer needs, and so did several renewable energy solutions such as domestic solar energy systems. Remeha’s market position in the Netherlands and other European countries were further strengthened in the new millennium, resulting in the acquisition of France’s leading heating products manufacturer De Dietrich Thermique in 2004. The companies together formed the De Dietrich-Remeha Group. In the same year, Remeha introduced the world’s lightest and most compact high-efficiency combi boiler: the successful Remeha Avanta. Seeking further strategic expansion throughout Europe, De Dietrich-Remeha Group and UK-based Baxi Group joined forces in 2009 and created BDR Thermea, a new world leading manufacturer and distributor of innovative heating, hot water systems and services. In November of 2010, Remeha made the world’s first micro-CHP combi boiler for single-family households commercially available after several years of development and testing. This revolutionary boiler, the Remeha eVita, produces heat, hot water and up to 1 kW of electricity for home use. The boiler helps to cut a home’s carbon dioxide emissions by ± 1,000 kg every year. An innovation that makes a significant contribution to a sustainable future. Remeha is an international company with a strong sense of responsibility for our 550 employees, their families and environment. We pride ourselves on being a responsible business. This commitment is reflected in all our operations and in our relationships with stakeholders, whether they be employees, customers, suppliers, other partners, or the communities in which we operate. At Remeha we carefully select our business partners and always try to ensure they embrace the same set of values and standards that we have set for ourselves. Our aim for success and profitability is aimed at contributing to, not harming, the well-being of our community. We invest in the development of sustainable and visible supply chains with our suppliers, ensuring responsible sourcing and manufacturing of our products to a high standard of product safety. Moreover, we have set ourselves strict conditions regarding compliance with prevailing law for all locations and circumstances we operate in. We screen our suppliers with regard to sustainability and environment-friendliness. Our own initiatives include e.g. the use of recyclable packaging wherever possible in our business processes. We have optimised energy efficiency, saving on lighting and re-using residual heat from business processes to heat our buildings. As the world becomes ever more aware of the impact of climate change, Remeha works hard to develop intelligent, increasingly energy efficient heating systems. We aim to improve traditional technologies and continue to develop and work on renewable technologies such as micro-CHP, solar energy, heat pumps and biomass.